About 18 miles today. 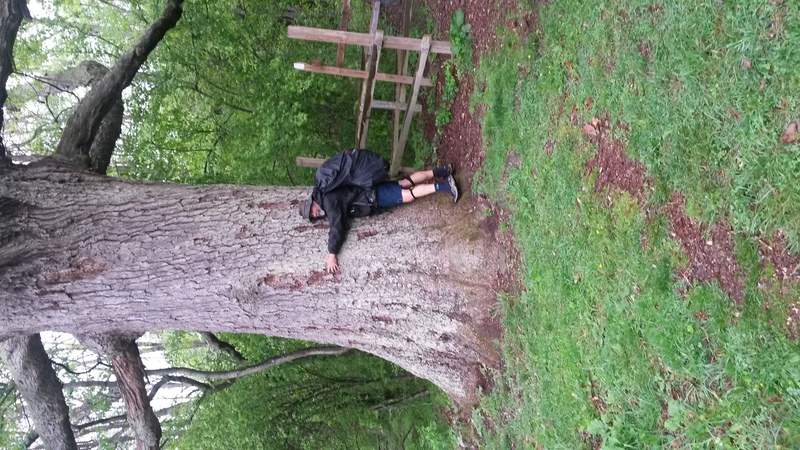 Hiked in the rain all day today. It kept the bugs down but I’m not sure that is better than being wet all day. We hiked a rock cropping fit about 3 miles and in the rain it was crazy slippery. Time to Eat almost Timed Out twice. Hoping for better weather tomorrow but forecast isn’t good. We are skipping past the Hiker feed since we didn’t want to wait all day and lose the hiking time. Plenty of food in Daleville and I need a day off to rest. 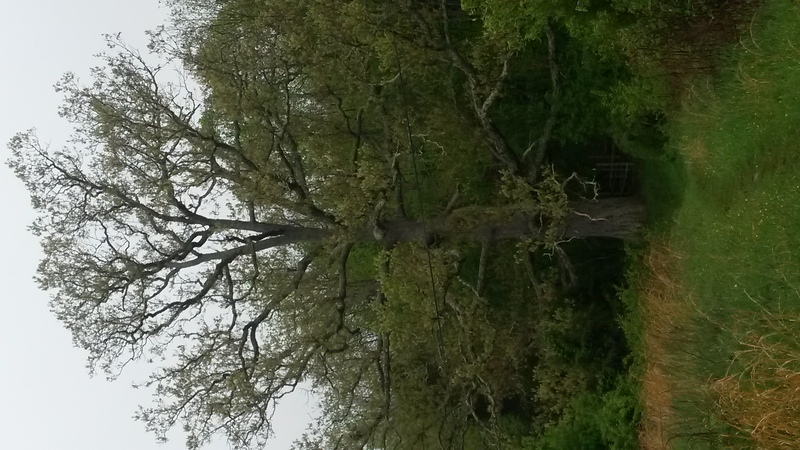 We passed the Kiefer Oak Tree which is over 300 years old and over 18 ft around…see pics. There was a time that if you stood in front of that tree, it couldn’t be seen. You’ve slimed down! Perfect! it gets mighty lonely on the trail. mighty lonely.